The MacBook Pro is an excellent device. Under the hood of the MacBook Pro 15 is some seriously powerful hardware. Powerful hardware is a great thing — it enables you to do graphic design well, video editing, programming, and even some light gaming. However, when you’re really putting the hardware to the test, the MacBook Pro can output a lot of heat. Keeping that heat trapped under the laptop could damage it over time, and even burn the surface it’s sitting on. That’s why you should consider getting the best cooling pad for MacBook Pro. 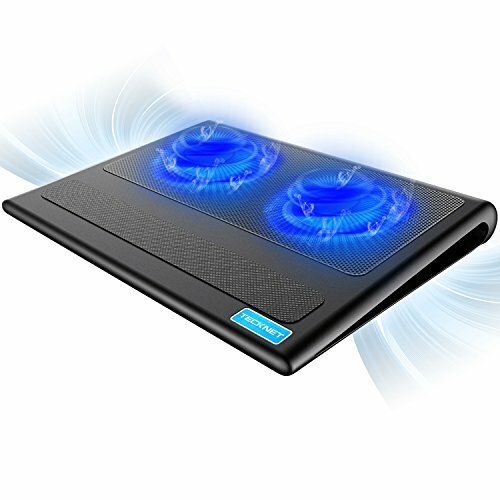 Cooling pads have fans built-in that you can turn on to dissipate the heat being outputted from the laptop. This keeps your MacBook Pro cool all the time, essentially preserving its life for years to come. If you’re not sure what cooling pad to pick up for the MacBook Pro, be sure to follow along with us below. We’ll show you our top picks. Here are some of our favorites. 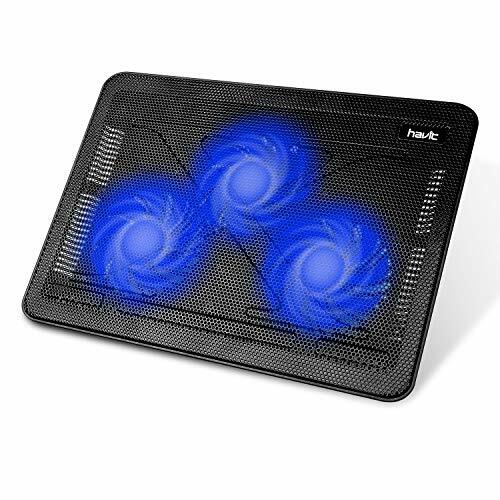 If you’re looking for a cooling pad that you can take with you on the go, look no further than the Havit Slim Portable Laptop Cooling Pad. This one will keep your MacBook Pro cool without an issue — there are actually three fans built inside the pad, which work together to dissipate the heat really quickly. The fans are quiet, so they won’t make too much noise either. This one does come with a USB to USB connector for your MacBook Pro; however, if you have a USB Type-C device, you’ll need to supply your own USB to Type C cable. We really like the TeckNet N5 Laptop Cooling Pad because of how versatile it is — it can fit laptops between 12- and 16-inches in size. There are two large 110mm fans inside this cooling pad, which work really well to keep your MacBook Pro cool. This cooling pad is slim, portable, and lightweight, so you can easily take it with you on the go. If you do long periods of gaming or use resource-demanding applications, the TECKNET N5 will prevent your MacBook Pro from overheating and damaging components. 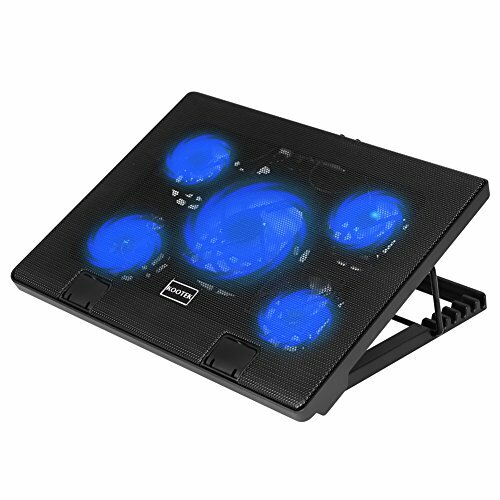 If you need ultimate cooling power, the Kootek Laptop Cooling Pad will be right up your alley. This one actually has five fans built inside, which will work really well too keep your MacBook Pro cool during demanding gaming sessions, video editing, or in photo editing. There are four small fans and a single large fan in this cooling pad. The cooling pad can be adjusted at all sorts of angles as well — you can adjust it to the most comfortable angle for your laptop. It’s a versatile cooling pad, so it should actually work with any laptop between 12- and 17-inches in size. If you do any sort of gaming with your MacBook Pro, you’ll for sure want to make sure you have the TopMate Gaming Laptop Cooler. TopMate actually designed this laptop with gaming in mind, which means that you should get maximum cooling capabilities with this one. It has five fans built in — specifically four small ones that surround a large one in the middle. There’s actually a control panel that allows you to set the power of the fans, and whether to turn them on or off. TopMate even includes a hinged flap, which would keeps your MacBook Pro from sliding down towards you. 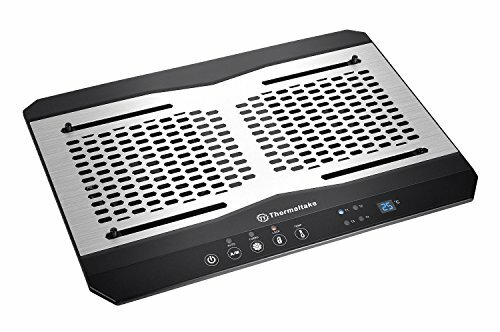 The Thermaltake Massive Notebook Cooling Pad might come in as last up on our list, but this cooling pad will easily keep your MacBook Pro cool. Keep your MacBook Pro sitting on this cooling pad, and you can be sure that you’ll preserve the life of it for years to come. This one is a fairly unique choice as far as design goes. You cannot actually see the fans on this one, as they’re hidden under a metal plate; however, air comes up through the vents in said plate. There’s a temperature sensor that you can control manually, and this can be adjusted to comfortable viewing angles. As you can see, there are a lot of excellent options for cooling pads for MacBook Pro. 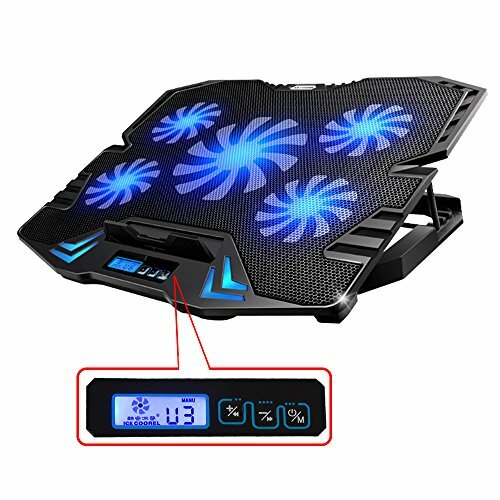 Our favorite is probably the Thermaltake Massive Notebook Cooling Pad, just because of the manually adjustable temperate sensor, but the TopMate Gaming Laptop Cooler is another excellent choice.